The collar. For those who want a model of his own, exclusively designed. The fabric. To have a really wide choice. The fit. 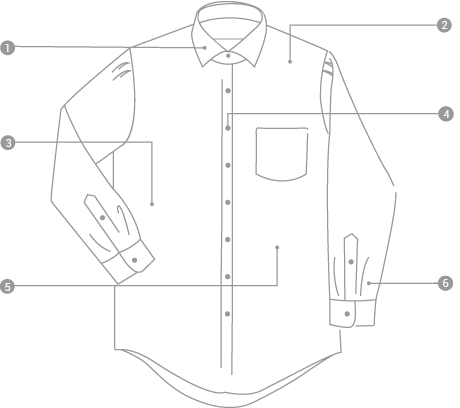 Only hand-cut, personalized, to adapt perfectly to any defects or asymmetry of the body. The buttons. For those who love the new models, such as three-hole. Figures. If you require certain special effects, such as darker shadows. The touch trend. Even a piece of linen as a shirt follows fashion. To be absolutely up to date.